Welcome to the heart of the most contemporary district in Paris. We are pleased to welcome you to a friendly and intimate setting in La Défense. We offer you a unique travel experience thanks to our 5-star service. 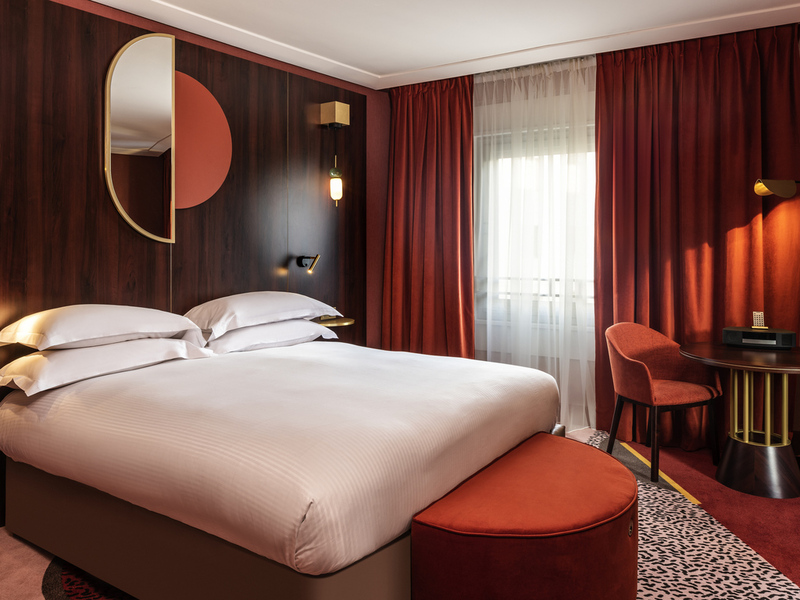 The Sofitel Paris La Défense hotel, an elegant 5-star hotel decorated by Jean-Philippe Nuel, is situated on the Esplanade, at the heart of the capital's business district. Featuring 135 rooms, 16 spacious and bright suites and 5 modular, naturally lit seminar rooms, this luxury hotel warmly welcomes business travelers and families alike. The hotel is easy to access by metro line 1: just minutes away from the Arc de Triomphe and Champs-Élysées. 33 voie des sculpteurs" GPS"
Our 135 luxury roms and 16 contemporary Paris suites offer MyBed® comfort, large windows, free WiFi, BOSE sound systems, tea and coffee facilities, flat screen TV and luxurious bathrooms with rain showers. 5-star Paris accommodation in La Défense. Blend business with pleasure in this lit, modern bar in Paris La Défense. Wind down with a signature cocktail, a flute of champagne, a nibble of olives or a cheese trilogy. Or wind up for a fine Mediterranean meal and La Défense's fashionable nightlife.